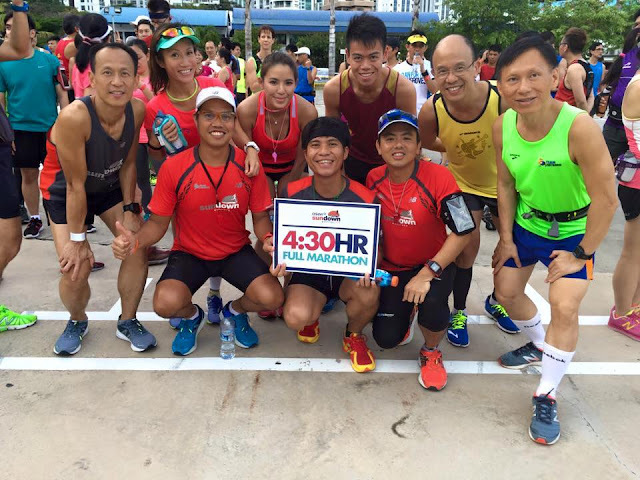 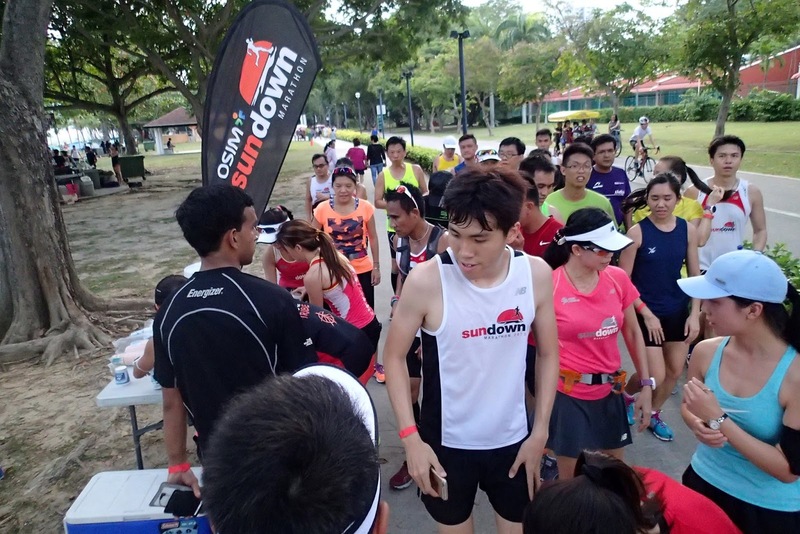 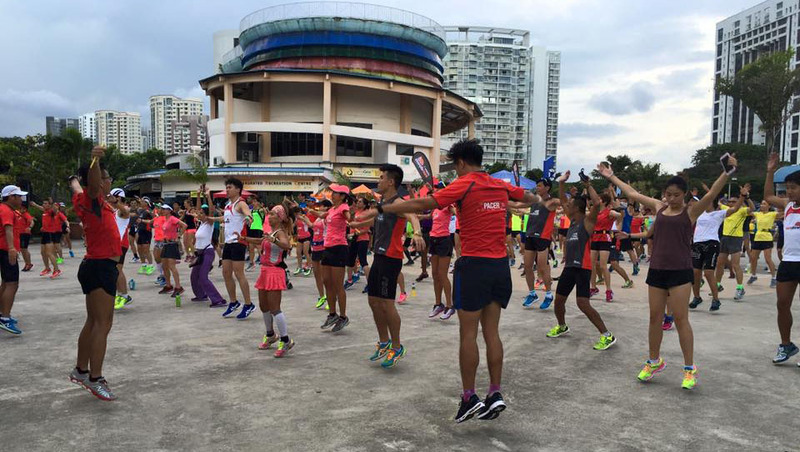 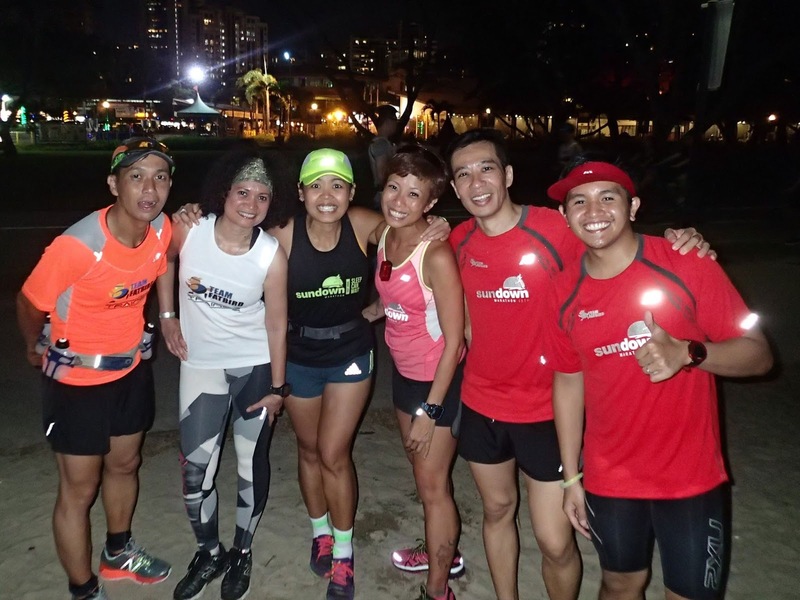 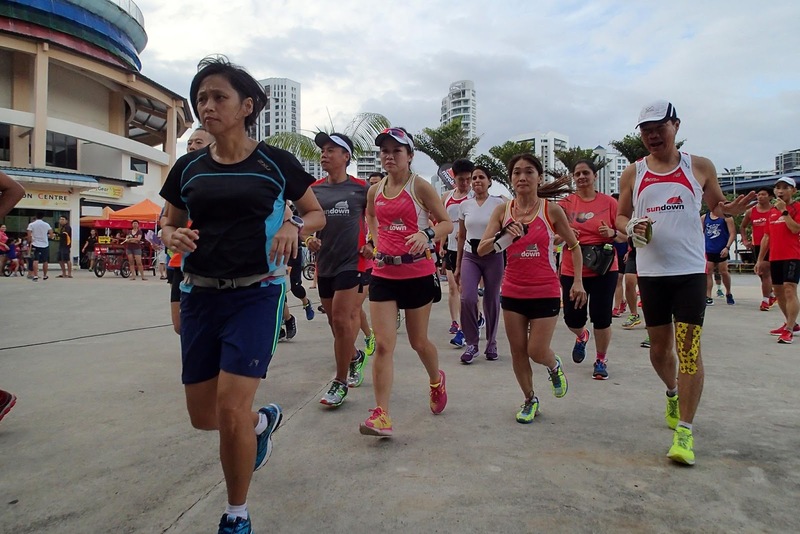 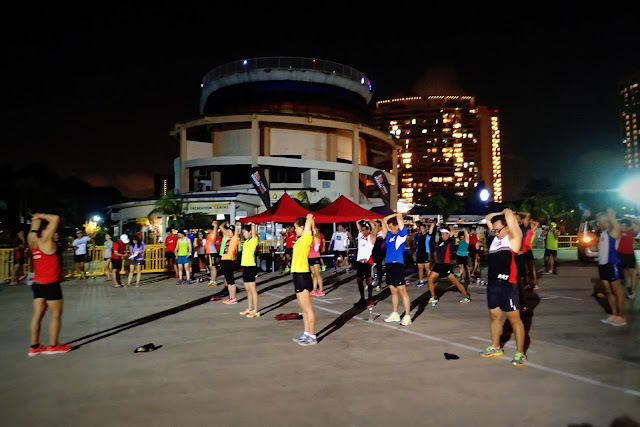 More than 200 Sundown runners assembled at the Playground @ Big Splash on Saturday evening for the first OSIM Sundown Marathon Lead Up Run with much excitement and enthusiasm. 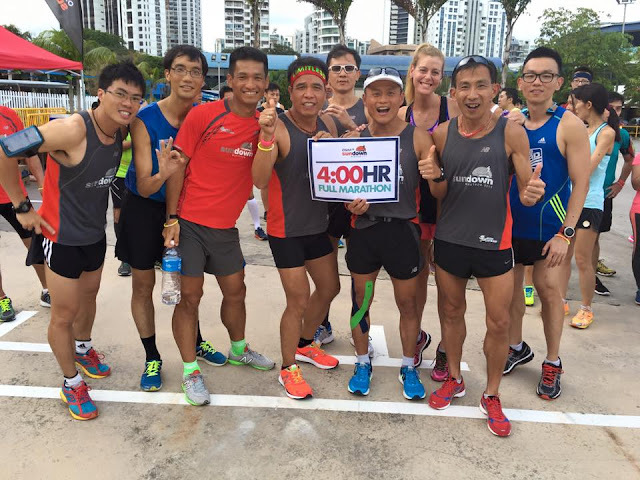 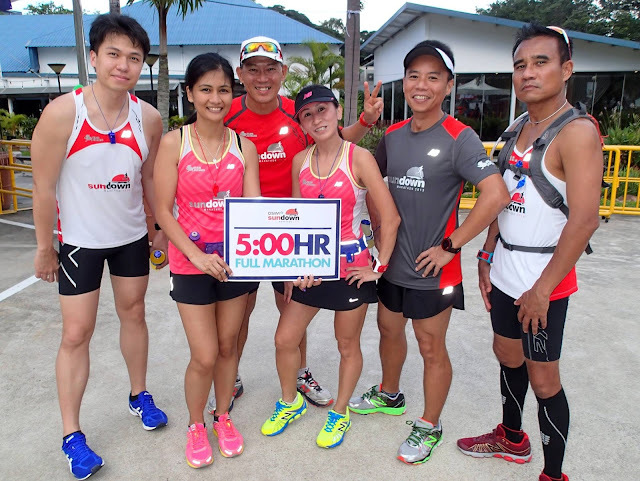 They were not disappointed as the friendly Sundown Marathon Pacers were on site to welcome them into their respective pace groupings (HM – 2:00h, 2:15h, 2:30h and FM – 4:00h, 4:30h, 5:00h, 5:30h, 6:00h). After a welcome briefing by Team FatBird Chief Trainer, the participants were led through a bout of dynamic warm up with basic running drills by the Sundown Pace Leaders. 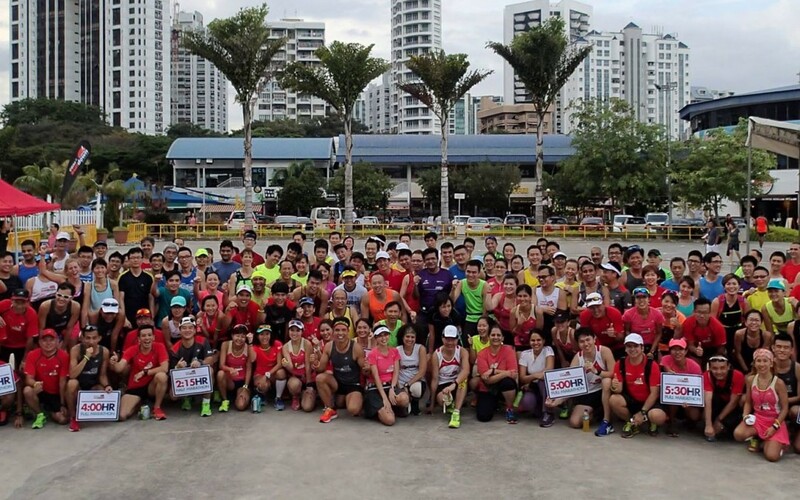 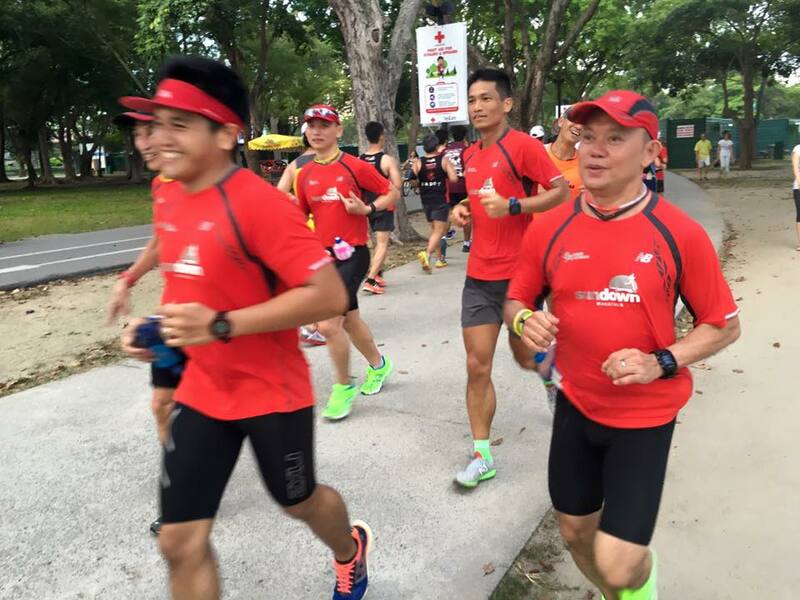 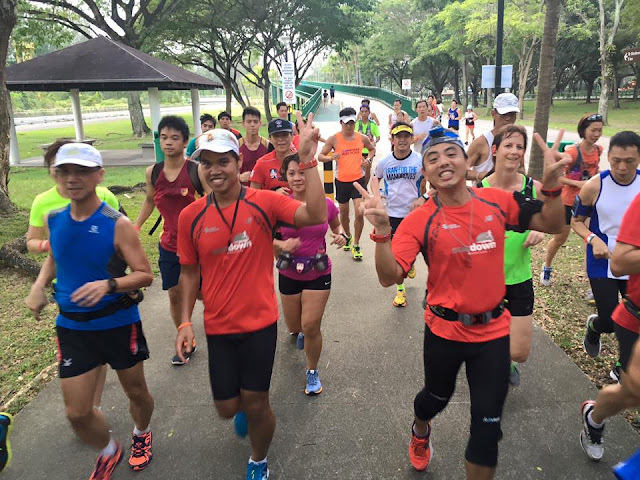 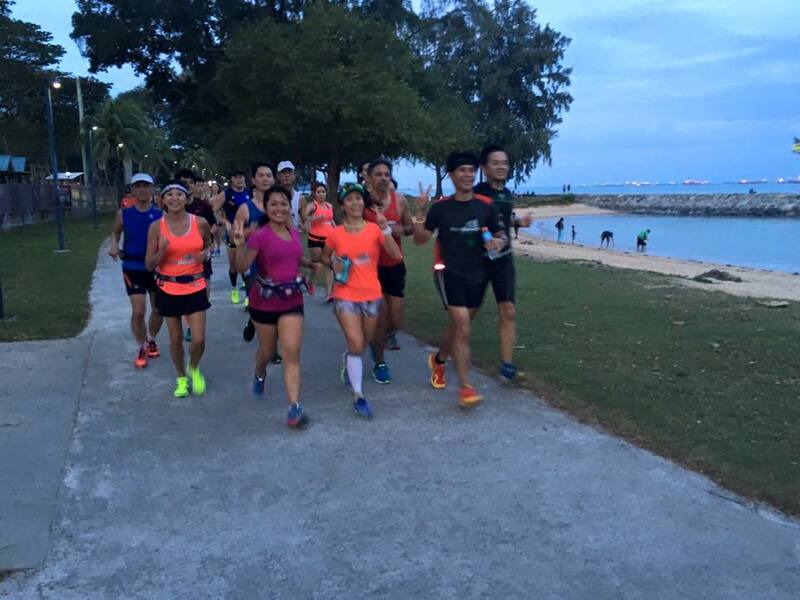 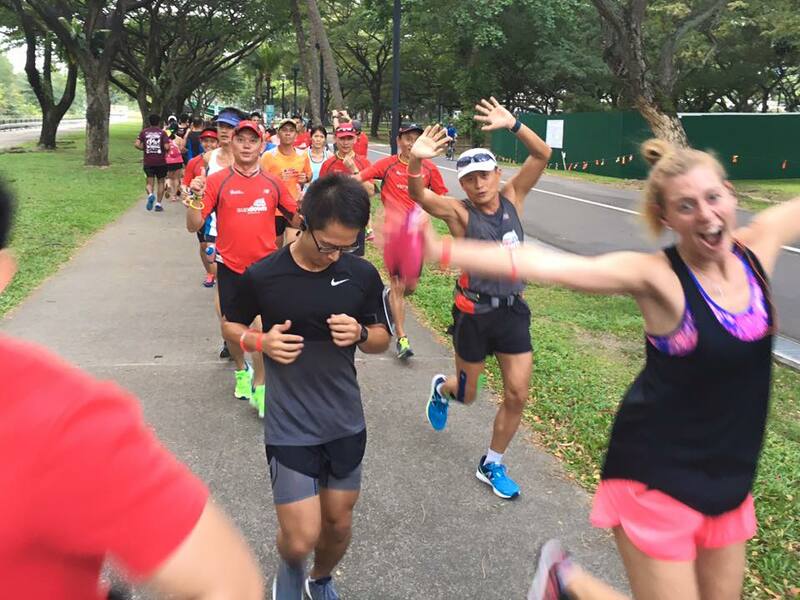 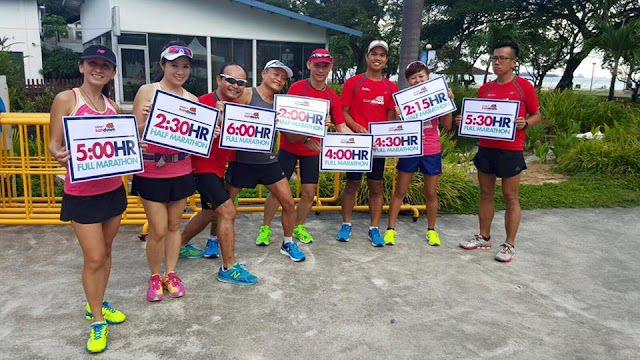 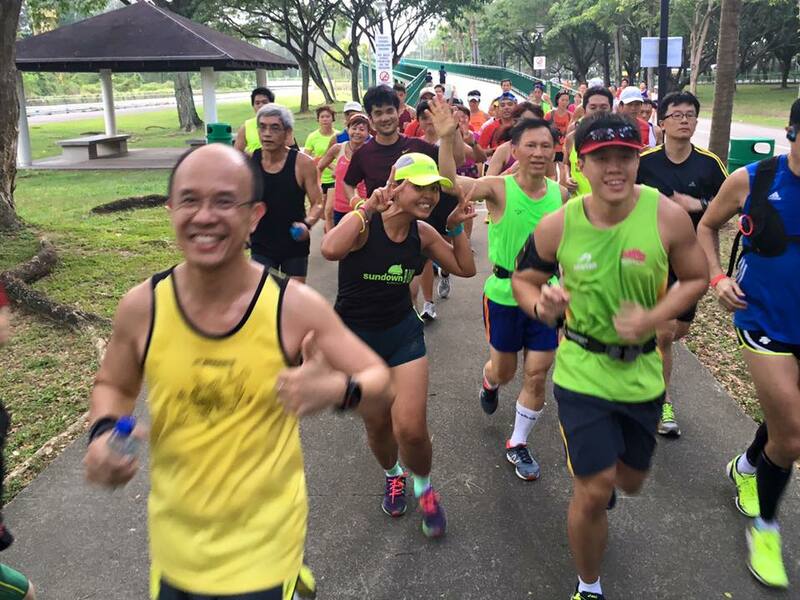 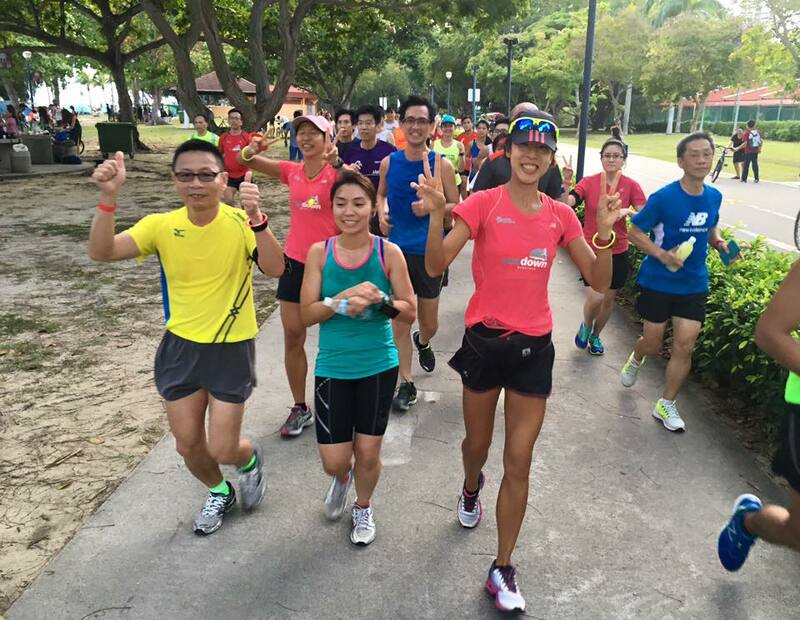 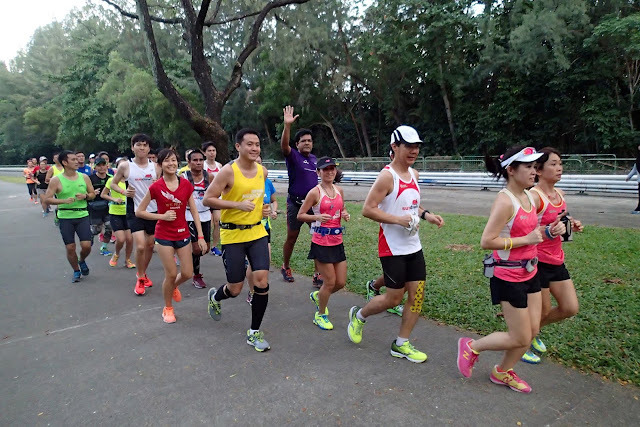 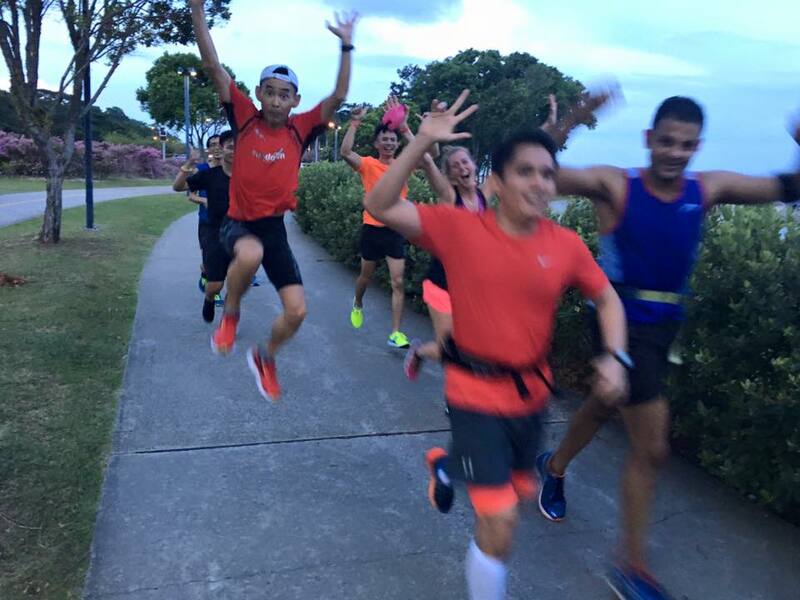 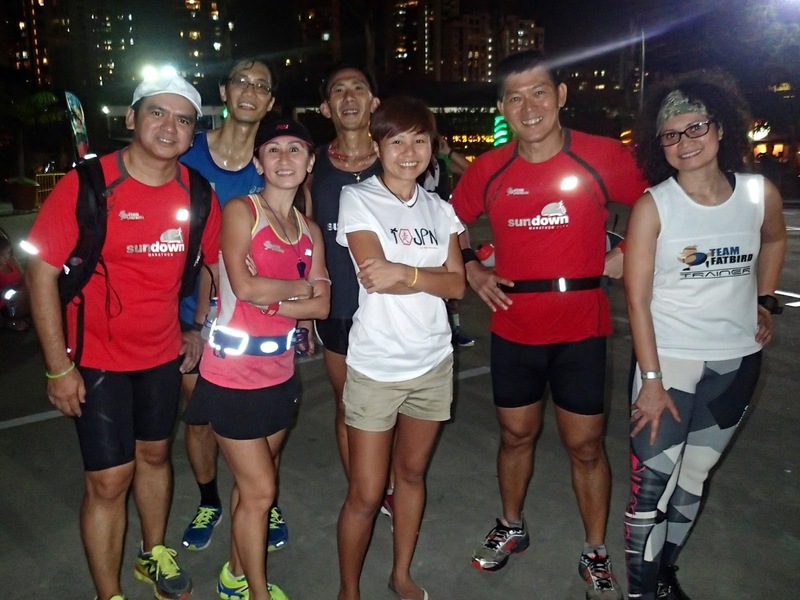 After the group photos, each of the pace group leaders with their runners were lined up and flagged off, all with smiles and cheers as they ran along as groups towards the coast of ECP turning into Fort Road direction. 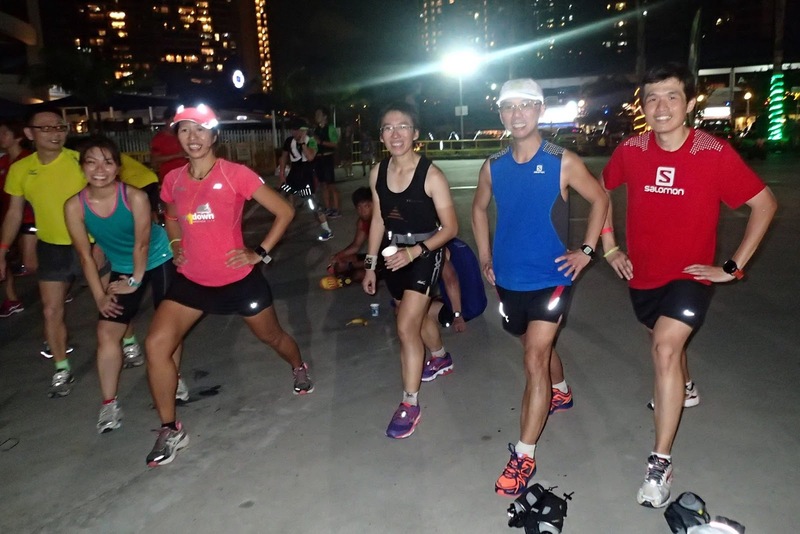 This being the first of the series of 3 lead up runs to progressively build up the marathoners’ aerobic base for a solid night race, the pace set was a more conservative Basebuild Pace to ease the runners into the groove before increasing the pace and distance at the next lead up run in April. 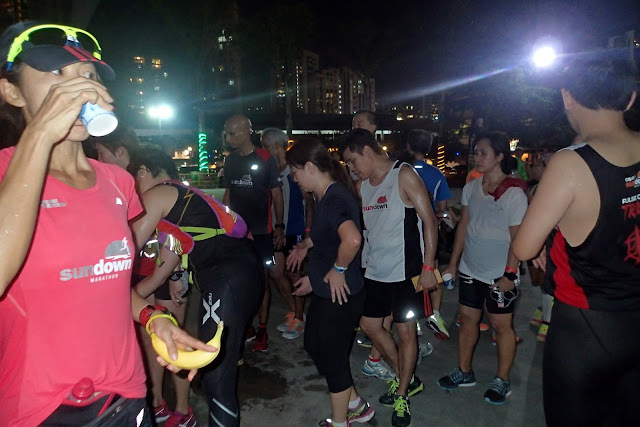 It was fun as the runners warmed up to one another and it wasn’t before long that we reached the first hydration point near CarPark D, and time for the Half Marathon runners to turn back for their 9km required distance. 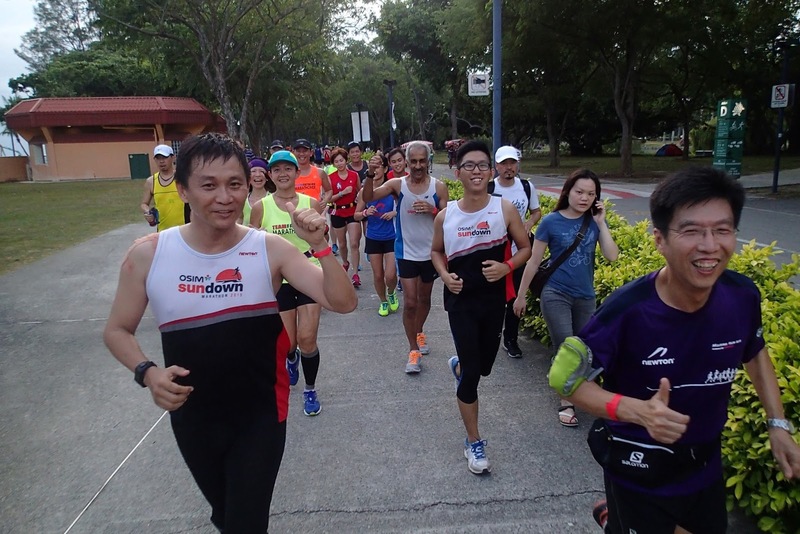 The Full Marathoners proceeded at pace towards CarPark F2 and then the Sailing Centre where we were welcomed by the second hydration point set up by the Sundown Organizer. 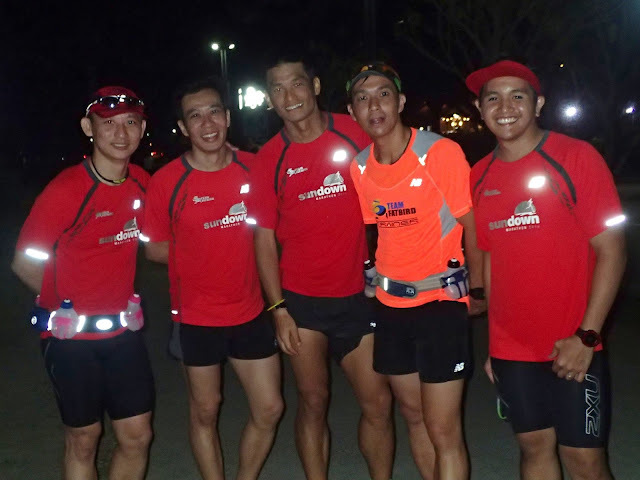 The iced-cold isotonic drinks tasted so good as we did a quick break before turning back for the home stretch. 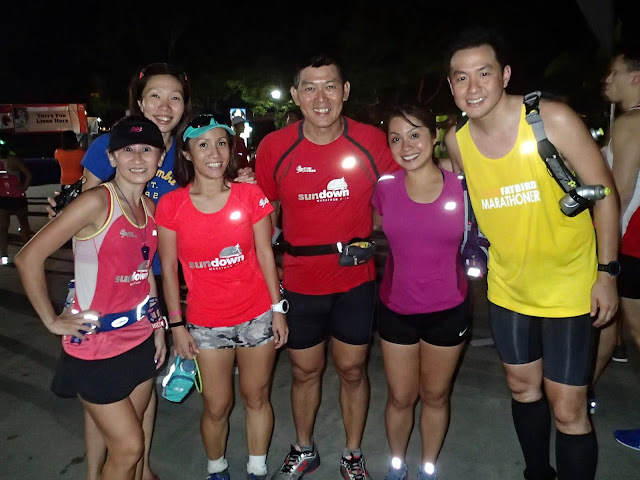 Dusk came by the time we reached 13km as the Sundown runners kept within their respective groups in relatively windy conditions, all remaining strong and energetic. The Sundown Pacers were doing a great job of watching out for runners going too fast as well as ‘sweeping’ the rear to ensure no runner is left behind. 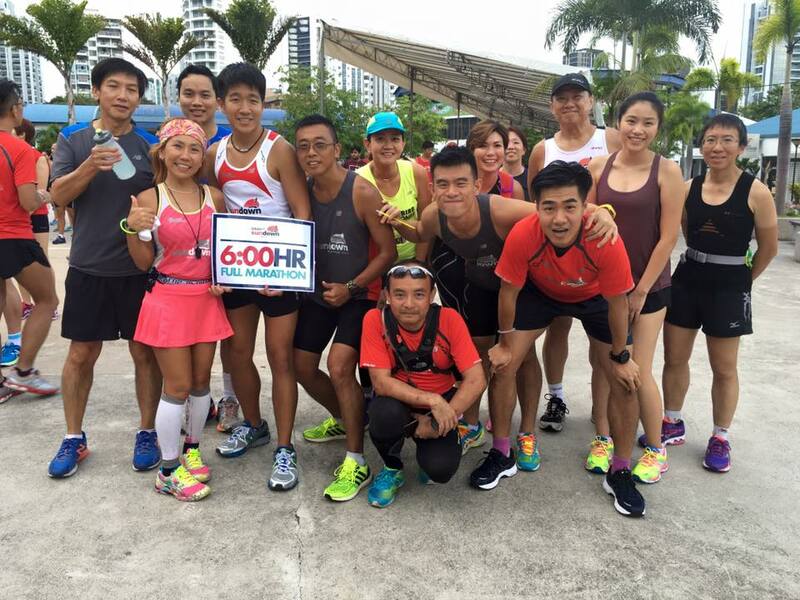 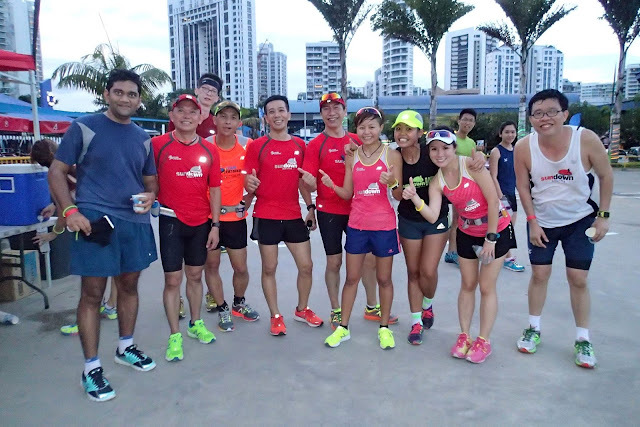 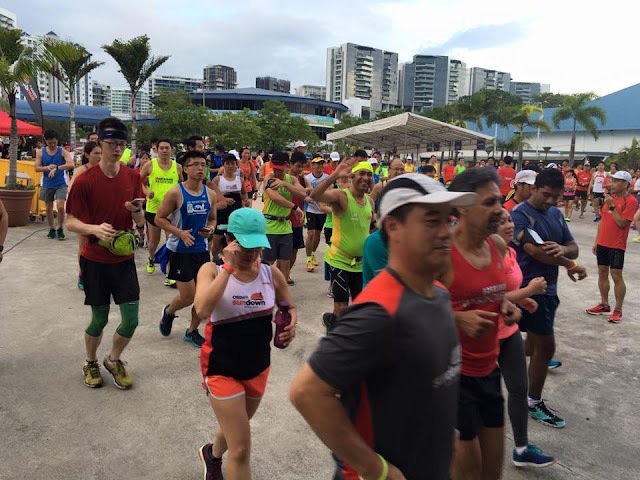 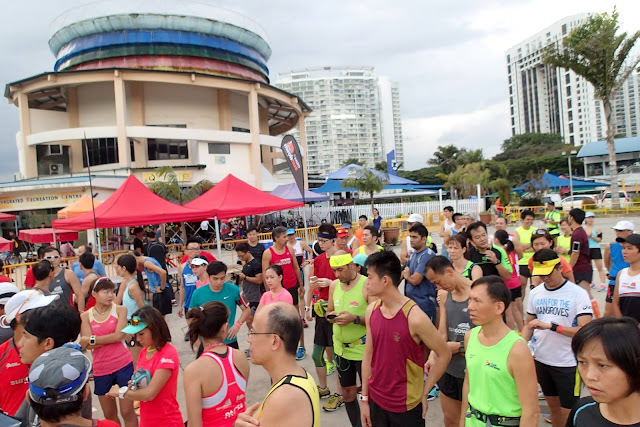 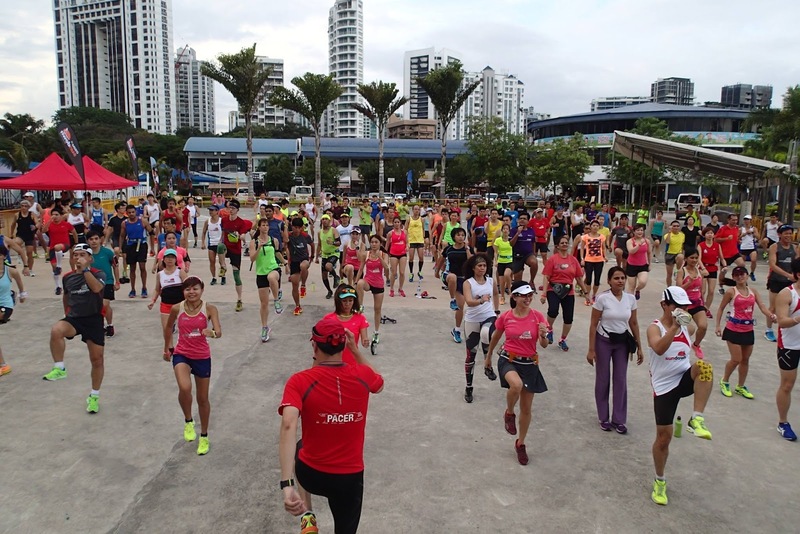 Before long, the first two groups of runners reached back to the start point at Playground @ Big Splash, with the HM completing 9km and the FM completing 18km. 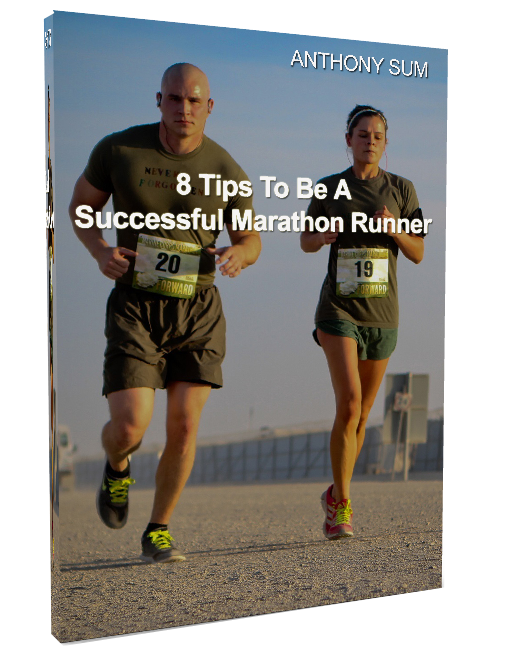 The thirsty and tired runners helped themselves to isotonic drinks and bananas to replenish their body resources. 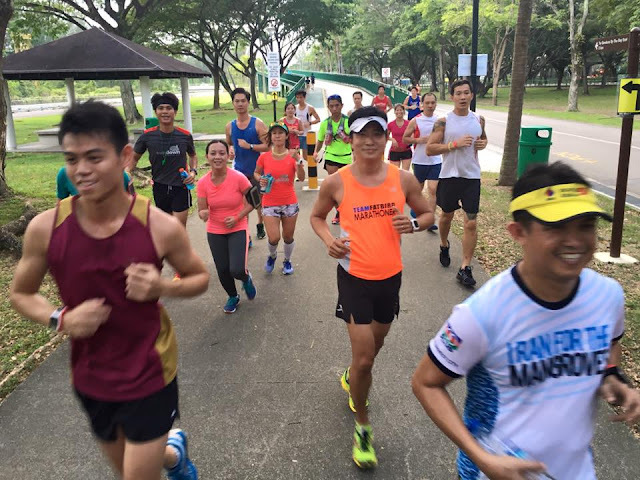 Sundown Pacer and Trainer, Arnel conducted a very good round of cool-down stretches for all competed groups to ease off the tired leg muscles, which will aid recovery and avoid delayed onset of muscle soreness (DOMS). The whole lead up run session ended at 8:45pm, to the satisfaction of the Sundown runners who got in a good paced run as well as having received some pointers from the Pacers, making it a fruitful workout for them. 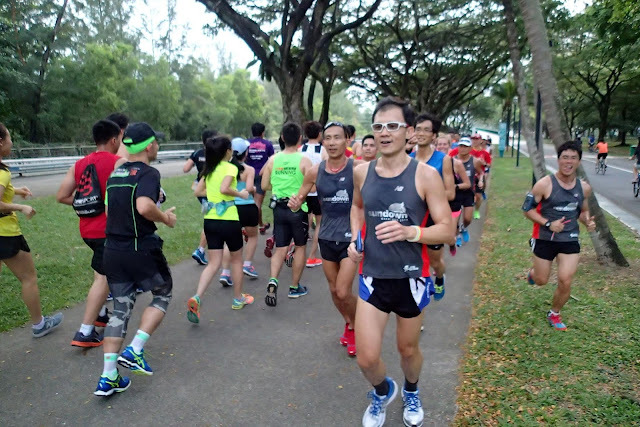 With the first lead up run at BaseBuild Pace successfully completed, we look forward to the second lead up run on 9 April 2016 where we will be doing longer distances of 14km and 26km at Marathon Pace (MP). 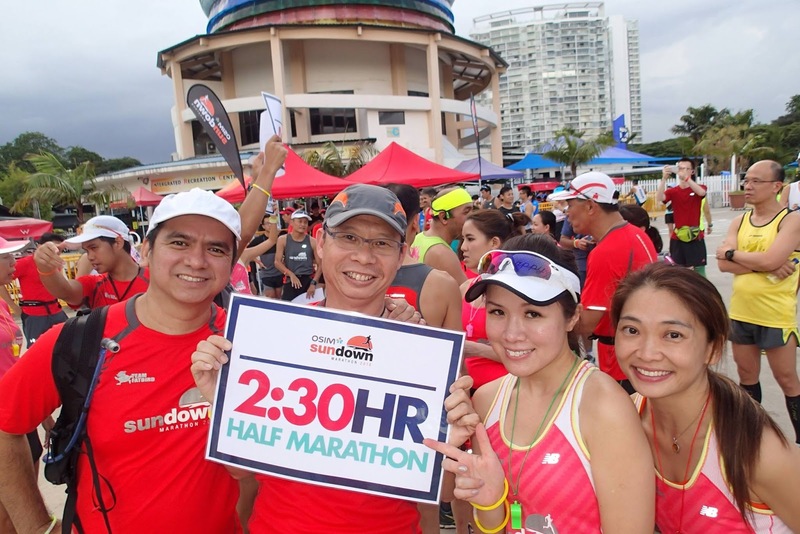 We encourage all Sundown Marathon participants to Register for the lead up runs and join the Official Sundown Marathon Pacers for yet another exciting training run in the night HERE!